I have stopped searching for the perfect T shirt pattern. 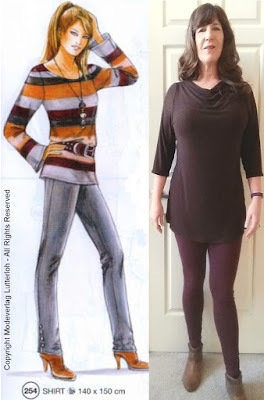 For me it's this shirt pattern #254 in Supplement 282 from 2011. You may recall seeing this same pattern reviewed last year in this post. In that post I determined the fit for my favorite T and then added one wide godet to a center back seam. When I started looking for a pattern for a knit cowl neck top I realized the most recent cowl pattern I could think of was for a woven. Not to worry, I already have a well fitting knit top pattern. Why not alter it to the shape I need? 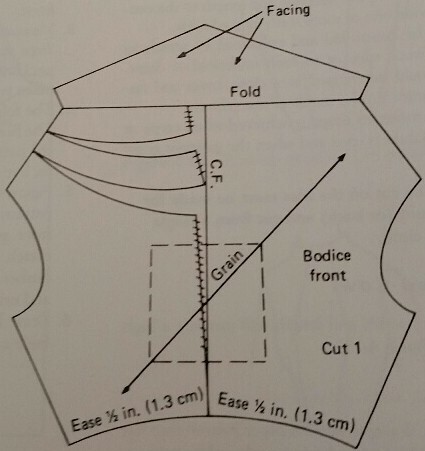 The picture above is from one of my favorite pattern making books, Pattern Making by the Flat-Pattern Method by Norma Hollen and Carolyn Kundel. Another book I consulted to transform my basic pattern is called Patternmaking For Fashion Design by Helen Joseph-Armstrong. I believe these were both textbooks at one time. Parts of them are fairly technical but there are also some basic operations in them that anyone should be able to accomplish with just a little patience and some basic tools that you're already using for your Lutterloh patterns. It really is eye opening to see that with a little manipulation of a basic pattern you can truly end up with a wardrobe of different patterns. For my cowl I took this pattern one step further by opening the slashes at the shoulders for small pleats. That step is well demonstrated in the book too so it really was just a matter of marking the pleats well for when I sewed the pattern together. Below is a close up of my pattern laid out on the fabric. You'll see that I've drawn my cutting line in chalk. 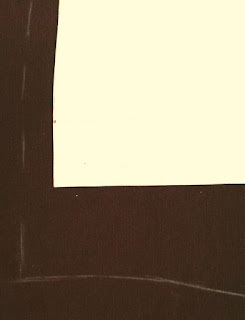 This is the outside, bottom corner of the bodice back. 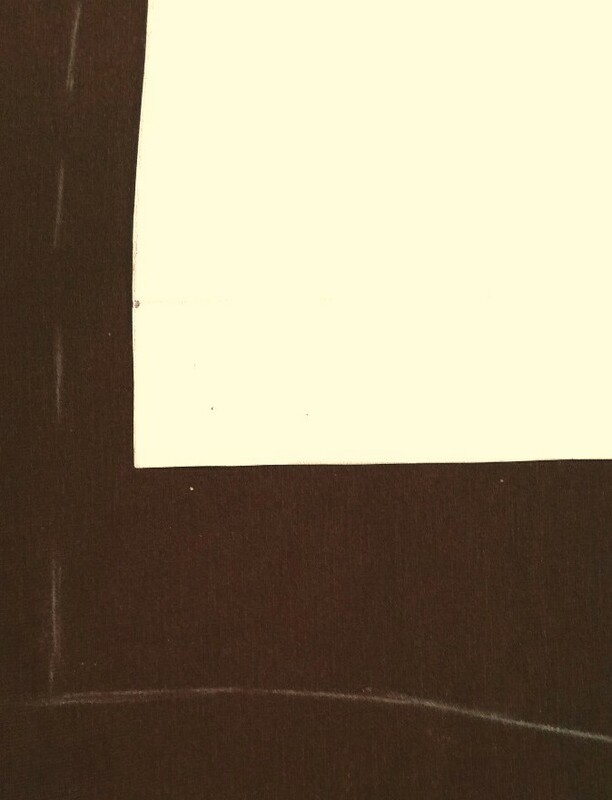 Notice I've started drawing a slightly curved hem at the bottom. 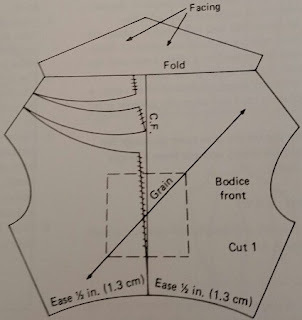 When you don't add seam allowances to your pattern until cutting, it allows you to change the length and even the shape of the hem of your pattern for each project. You can also adjust the seam allowances for each different fabric based on the amount of stretch of various fabrics. All of these changes to your pattern can be accomplished with the drawing tools that you use every time you enlarge one of your Lutterloh patterns. Do you ever change your patterns to copy another style you've seen? Feel free to leave your comments below. I'd really love to see everyone using their Lutterloh patterns to their full potential! Thank you Linda. The rayon blend fabric makes this really soft and comfortable to wear too. Another great sewing project. Thank you for all of your help. N, nice top and I like the gentle drape of the cowl. Yes I mix and match patterns pieces regularly and have ven designed mother daughter dresses for my daughter and I way back when! You are so inspirational! I just picked up the last 1.3m from a bolt of a pretty lavender lightweight sweater knit. 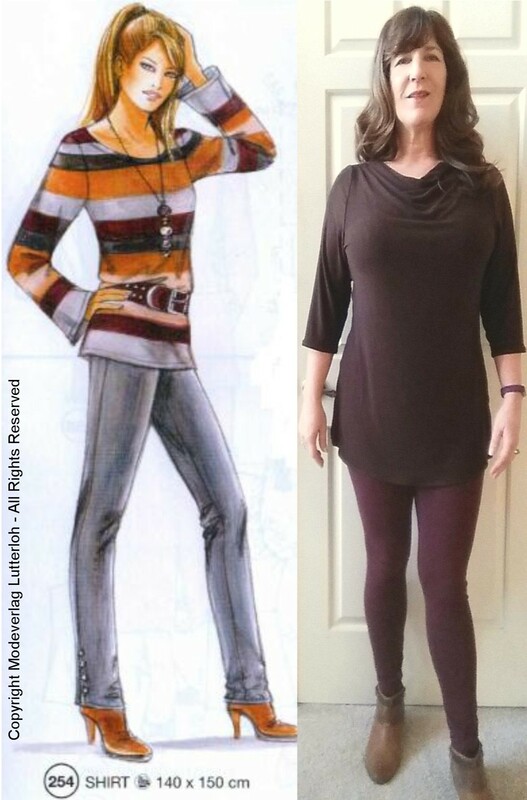 I don't think I'll get a cardigan out of it so I was browsing my Lutterloh patterns and saw this one. I remembered seeing it on your blog and came back to read this. Well as it turns out I have Patternmaking For Fashion Design by Helen Joseph-Armstrong open in front of me! My mom gifted it to me a couple of days ago from her sewing library. I was already thinking of a 3/4 sleeve so I will use your idea of using the sleeve from 287-229 which is also in my Lutterloh stash. Have I mentioned I love your blog? Awww, thanks Jacqui. What a thoughtful gift from your mother. I've noticed even the public library can be a great source for sewing books especially if you're not sure you want to take the plunge and buy them.